The fight with Archaeus continues and Spike is threatening to return to his old ways. It’s up to Buffy and the gang to save him from himself. If they can’t, then they will all be in serious trouble. 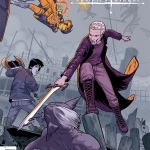 We start off the issue with Spike still attacking Buffy. She constantly tries to snap him out of it, without harming him, but it doesn’t work. He keeps attacking, keeps coming at her as if he’s back to his soulless days. Spike remembers the joy he used to feel, the power of killing Slayers, but he also sees Buffy in those memories. That’s the connection he needs in order to temporarily let Buffy gain the upper hand. She manages to fight him off and get him pinned. But, still, the fight’s not over yet. Unfortunately, Spike doesn’t go down easily. 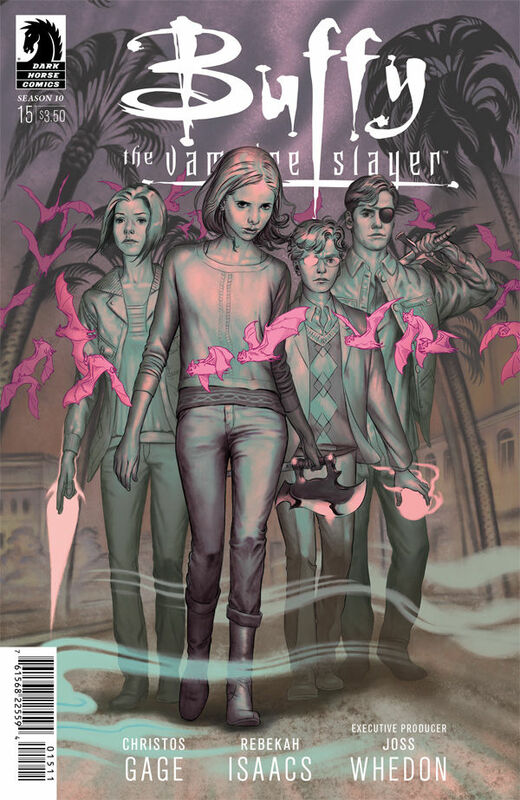 And it seems like Buffy’s only choice is going to be to stake him, but she manages to block his bite with the Scythe. And then she does something that seems ill-advised, considering the current situation — she puts down the Scythe and stands before Spike defenseless. Her act of trust almost seems like a bad choice when Spike surges forward and is seconds away from biting her neck. But, finally he starts fighting back inside his mind. Achaeus is strong, but Spike is stronger. Spike attempts to take on Archaeus himself, but that doesn’t work out so well. And then the entire Scooby Gang does the same, joining together in solidarity as the family that they are. This, too, doesn’t work out so well. Their best course of action is to retreat and regroup. And that’s just what they do. Willow and Giles help to demolish the building, trapping Archaeus inside and allowing them to escape for now. This isn’t a long-term solution, but perhaps it will give them enough time to figure out a new defense. Once the immediate threat is over, then we have some relationship plot development going on. First there’s Spike and Buffy. He apologizes for what went down, and understands if it’s tipped them over the edge of not working out, but Buffy remains by his side. She will be there for him, with him. At least that’s working out, because the Xander and Dawn situation is not. Once they return home, Xander goes over to talk to Dawn about their weird in-between status. He has realized that they both need to move on. If their romance develops, fine, but he cannot live in the waiting period any longer. Maybe they’ll be better friends than former lovers. And speaking of former lovers, the gang have decided they need to call in reinforcements. Thus, we’re getting set up for a crossover event. Angel’s coming to town! Hope it doesn’t wreck Buffy and Spike’s relationship, as the vampire fears. Angel can help out, but he does not need to help himself to Buffy in the process. Let the Spuffy love live on!